We are super excited to host this amazing camp experience for a third year! This year we are expanding to 5 WEEKS! AND, Harvest Hills Ministries is offering 2 FREE Days! 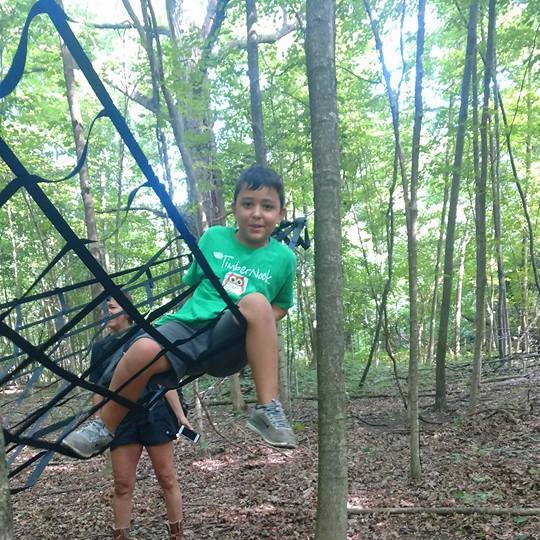 TimberNook Central Ohio offers unique camp experiences for children that are designed to foster creativity, imagination, and independent play in the great outdoors. At TimberNook Central Ohio, children have the chance to play together and independently. We use stories, games, and fun experiences to learn, develop, and explore. 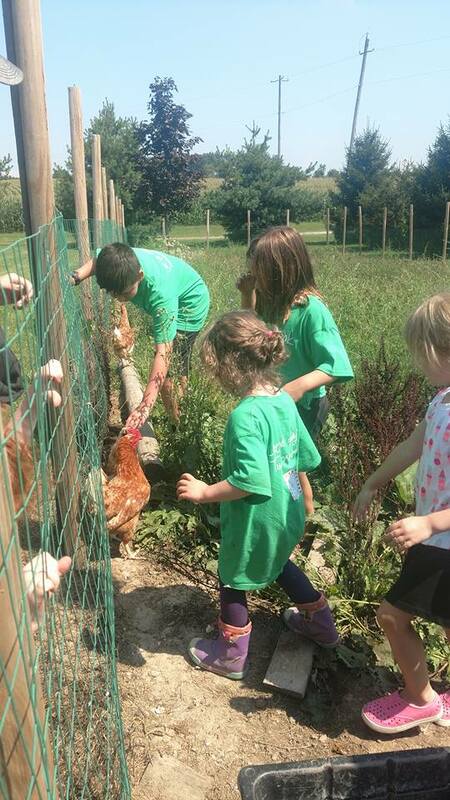 We also interact with the goats, chickens, pigs, bunnies and horses while we watch the pumpkin patches grow as we navigate through their fields! 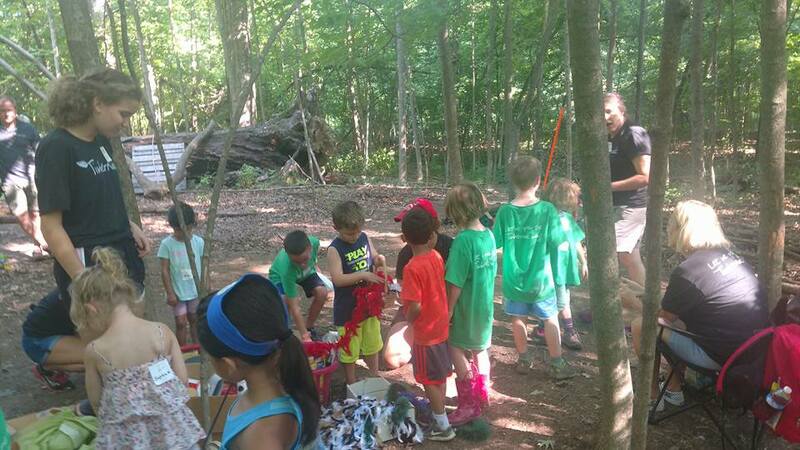 Provider, Krista Seibert, guides children by the TimberNook philosophy that when kids engage in self-directed play and take reasonable risks outdoors, they are better equipped to be successful in home and school environments. Krista works as a Special Education teacher in the Worthington School District. She works to provide an environment where both typical and special needs children can learn together. You are invited to learn more about TimberNook’s camps and philosophy at http://www.timbernook.com/. Explore below to choose your week and register by CLICKING HERE! Upcoming Camps: There are 5 to choose from! All aboard the Harvest Hills Ministries Choo Choo Train!! This program is all about diving deep into one’s imagination with a little help from one’s friends. 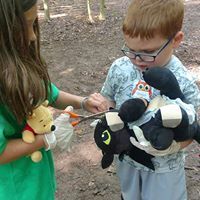 Children will pick a stuffed animal from home to bring to the woods this week. They will be doing everything from making cars & grand-scale ramps for their pets to ride in to having a giant salon experience with their furry friends. Together, they will enjoy many adventures -- inspiring hours of pretend play out in the wild. One of our most popular programs, where young children “live and breath” stories out in the wild. We’ll be doing everything from building a house out of real bricks, sticks, and hay out in the woods to re-enact the classic fairy tale, The Three Little Pigs to creating a shoemaker’s shop in the woods after hearing the story, The Elves and the Shoemaker. With the turn of every day, comes a new story for the children to experience and lots of FUN! This week is about art -- gone wild. Children will be doing everything from creating forts out of Paper Mache to rolling down hills wrapped in bubble wrap in order to paint life-sized canvases. There will also be plenty of time for free play, cooking over an open fire, and games in the wild. If you think your child will enjoy whole-body sensory art experiences than this is the program for them!